As an integral component of Yardstick’s digital marketing, Warren masterfully spearheads and executes our SEO projects. With a multi-faceted skill set, Warren is responsible for ensuring client success within the organic search environment and ultimately improving their online business. 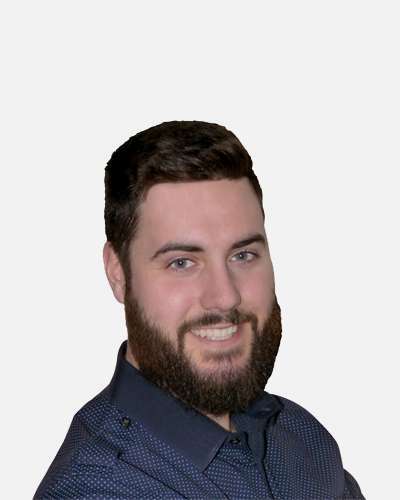 An analytics person by nature, which has helped hone his skills for SEO and online marketing, Warren is also armed with strong academic achievements: a Business Administration diploma from New Brunswick Community College and Bachelor of Business Administration, in addition to a Major in Marketing from Cape Breton University. Warren drives positive results for Yardstick clients by maximizing traffic to their website, attracting more customers and improving page rankings by executing technical SEO tactics while being able to explain the strategy in layman’s terms. His passion lies in seeing his work directly affect a client and their business’ wellbeing. Increasing a client’s organic performance and having more customers walk through their door or driving up online sales is personal vindication of the work he provides. With a steadfast thoroughness, Warren digs deep into a client’s situation to determine the best possible solution(s) and ensures they’re aware every step of the way. When Warren is not immersed in all things data, you’ll find him overlanding with no electricity in his Pajero, along with his girlfriend and cat, Jet Li. If I weren’t living this life at a web company I would be:A wildlife conservationist. Dream job:The owner of a product/service that improves people's lives and something that I believe in. A cult film fanatic for Jeepers Creepers 2. Once found a shark tooth on a beach in New Brunswick. Lived in four provinces in four years. Collects craft gins and hopes to one day make his own.